Where I speak whatever I feel needs to be spoken. I had completely forgotten I started this blog...I merely stumbled upon it by Googling myself (or is it "googling," with a lower case g?). At the time, I seem to recall thinking that Qoheleth was a pretty bitchin' name for a blog. After all, "Qoheleth" is the name of the narrator of the Book of Ecclesiastes in the Bible. And Ecclesiastes is possibly my favorite book of the Bible, if I had to choose one. I think it appeals to the skeptical side of my nature. I mean, how many Biblical books start out this way? 1 The words of the Teacher,[a] son of David, king in Jerusalem. 2 “Absolute futility,” says the Teacher. and they flow there again. man is unable to speak. That's part of why the contemporary Christian slogan about BIBLE standing for "Basic Instructions Before Leaving Earth" absolutely rubs me the wrong way. The Bible is NOT a handy little instruction booklet. I'm reminded of a great moment in The Simpsons Movie, when Homer frantically skims through a pew Bible and says, "This book doesn't have any answers!!!" Indeed. If that's my view on the Bible, then why do I keep coming back to it, over and over? I think part of it is realizing, as Qoheleth did, that everything I think is a new problem is anything but. All the things I deal with, good and bad, other people have dealt with thousands of years ago. That connection to human history, religious or otherwise, is very important to me. One of the things that is most distressing to me, as I continue to work in the church, is that so many modern Christians have not the slightest interest in church history. They act as if Christianity were simply one more self-help program, and the Bible just a handy little user's manual for their lives. "The Bible says it, I believe it, and that settles it." Seriously? That's it? Just read the magic, and everything will be cool? Nope, I don't think so. I really have to organize my Bible collection. I won't post a picture of our office/library, but suffice it to say that there are stacks of books (including Bibles) all over the place. I'm not sure how up to date my Bible collection spreadsheet is, as I decided to get rid of a few volumes to make some more space. I'm pretty sure I still have well over 200 in my collection, but said collection is a MESS. So, first item on my to-do list: tame the beast! Meanwhile, some time this year the CEB Study Bible is supposed to be released, so I'll be curious to see how that turns out. We'll see if they can give the NIV, ESV, NLT and HCSB folks a run for their money. Sadly, I see that the above mentioned CEB has dropped off the list completely! And they had been doing so well last time I checked (over four months ago...). I don't think any translation in the near future is going to knock the NIV out of its #1 spot. And I'll be darned if that KJV doesn't keep on selling like hotcakes! So if anyone's still reading this blog, thanks. If not...well, there's got to be some way to promote it. Feel free to comment. I see that my last blog post was September 17, 2012, over FOUR MONTHS AGO. I've been a bad, bad blogger. For a little while, a long time ago, I was really rolling. What went wrong? Anyway, I don't know if anyone is still reading this blog, but I am hoping that I can get back into it. I think I still have ideas to share, observations to make, etc. What has happened since my last post? Barack Obama was reelected, and sworn in for his second term as POTUS. (I'm really not mentioning that as any sort of political statement; I'm just trying to remember big events as well as I can.) December 20, 2012, came and went, without any pesky apocalypse, Mayan or otherwise. My older daughter celebrated her 100th day of kindergarten...awesome! I'm sure all kinds of other stuff happened, but I don't remember anything huge and earthshaking. 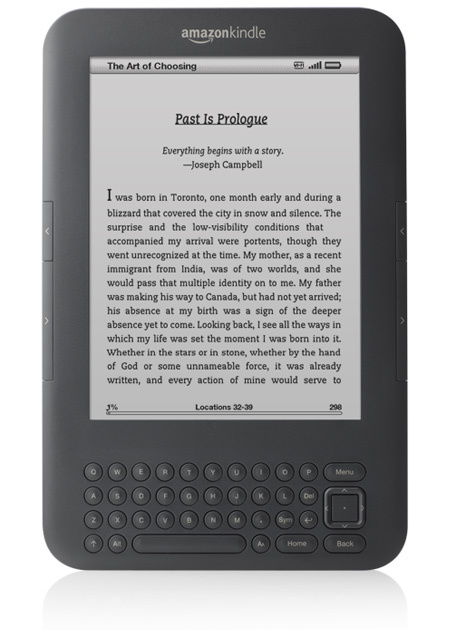 I'm on my fourth Kindle ereader now. What with one of them getting stepped on, and a replacement Kindle having battery problems, my current device is the fourth one I've owned. I'm hoping this one will last for a little while longer, because it's kind of a pain re-downloading the books from my Archives. What have I been reading on my Kindle? For the past several months, mostly George R.R. Martin's A Song of Ice and Fire series. I'm taking a little break from that at the moment, as it gets to be a bit much. I reread Tom Robbins's Still Life With Woodpecker, and enjoyed it almost as much as the first time I read it back in the early 1990s. Hmmm, what else? I think that's enough for the time being. As I said above, I shall try to be a bit more regular in my blogging from here on out. Thanks for reading. Does time just keep going faster? I was looking at some of my past posts on this blog (which have been few and far between these days), and I can't help but marvel at how quickly the time has gone since Su was just a little older than Lucy is now. She seemed like such a big girl back then, and now I look at the old pics and think, "How tiny she was!" Meanwhile, Lucy is on the brink of walking, her vocalizing continues to get more complex (lots of "dada" and "mama" these days), and I know in another few years, I'll be thinking how tiny she was, and as always, wondering where the time has gone. I know people used to say, "Enjoy your kids now...they grow up so fast." (They still do say it from time to time, I guess.) I think I used to assume they were exaggerating about how fast time went. But it really does. I'm not sure exactly where the past six years or so have gone. I can barely keep track of what year it is any more. I'm sure I will reflect on this over and over again on this blog. Looking back, I see that the vast majority of posts have been of the "wow, my girls have grown" variety, and I'm sure that will continue to be the case. Meanwhile, here's another pic of me and my girls that I can look back on in a few years, and say again, "Were they ever really that small?!?" It turns out, having two children is not simply twice the work; it's more like 4 or 5 times the work! With Su in school, and Lucy on the verge of walking, it seems like things are always moving. Su just lost her first tooth, and Lucy just got her first tooth. My last post on this blog was 6 months ago, and both of my girls are growing faster than ever. I can barely keep up, even when I'm not blogging. There just aren't enough hours in the day! Oh, and just as I was downloading the pic above, Su was looking over my shoulder and reading phrases like "Su in school" and "Create a post." Her reading ability is accelerating at quite a pace! Meanwhile, the NIV and the good ol' KJV continue to rule the roost, as they usually do. I've always wonder why the NKJV is always so high on the list; I suspect it's based mostly on ignorance of the options available. People want the traditionalism of the KJV, but are afraid of the "thees and thous," so they go with something that is more or less familiar. 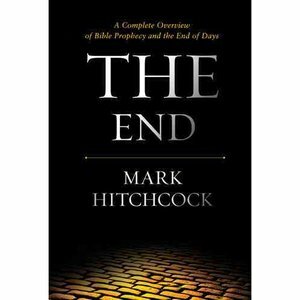 First, the good news: Hitchcock is considerably more organized in the layout of his End Times book than, say, Hal Lindsey (who curiously does not get a single nod in this book). The bad news: this is the same old End Times nonsense you've read again and again from the likes of Hal Lindsey, John Hagee, Tim LaHaye, and a host of other prophecy "experts." Our loving God is (any day now) going to show his love for humanity by wiping out all life on Earth in a catastrophic battle royale. And, although Mark Hitchcock is less likely than most of the End Times writers to set any sort of date, he strongly hints that we could be living very close to the Rapture right now. If you believe all that crap, then you will love this book. If you don't, you might as well not even bother. One other down side I should mention is that this book is considerably longer than most of Hal Lindsey's End Times books. It may even be a bit longer than most of LaHaye's eschatological works. But, as I said above, if you love End Times stuff, this is going to be the book for you. It's organized, comprehensive, and he's got the same chatty, popular style that previous authors like Lindsey and LaHaye have made so famous. So, by all means, enjoy the ride, and have fun being raptured and watching all the unbelievers suffer down on Earth.